WHAT THE HECK IS A FINGER LIME? We love a good native Aussie ingredient at Remedy. Which is why we jumped at the chance to include one of our absolute faves - the finger lime - in our new Remedy Switchel line up. If you haven't heard of this ripper little local fruit and are wondering what the name is all about, it's pretty simple. It's a lime-like fruit that's shaped - surprise surprise - a little like a finger! To help fill you in on more of the detail, we've called in our go-to experts on all things native Australian super foods, our mates at The Australian Super Food Co. Founder and head dietitian Hayley Blieden gave us the low down. 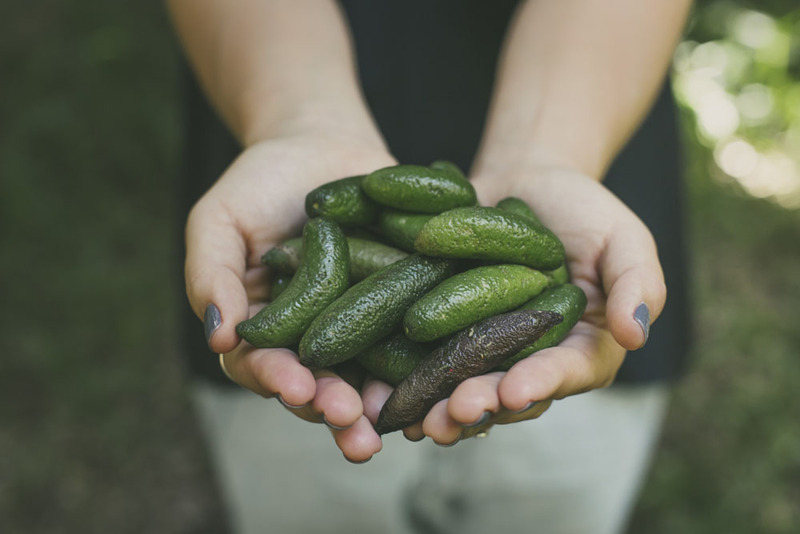 "The finger lime is the fruit of a rare Australian rainforest tree," Hayley says. "It has been a valuable source of food and medicine for Aboriginal people for thousands of years." "The fruit was eaten for its delicious taste and its ability to ward off disease," she says. When European settlers cleared the bush for farming, Hayley tells us that many of the finger lime trees were destroyed. "Fortunately, the tree survives in several isolated pockets of sub-tropical rainforest on private land and in national parks and currently these are the only sources of finger limes," she says. Hayley reckons the mature finger lime is a joy to behold. And having seen it for ourselves, we 100% agree. It comes in a wide range of colours, such as green, yellow, purple, pink and bright red. When sliced open, it reveals ‘caviar like’ pearls, which are filled with lemon-lime juice. With its refreshing citrus lime flavour, finger lime can also be used in dressings, jams and sauces, cordials and cocktails. It can substitute for ordinary lemon or lime, wherever they are used. Check out The Australian Super Food Co Blog for recipes and tips for finger lime culinary delights! Of course, we may be biased, but we reckon the best way to try out the delights of the finger lime is in our new Remedy Switchel Finger Lime bevvie! Some say it's like a grown up, extra delicious, super healthy version of a lemon squash. It's a fizzy with zest, tang and a little fire. Ginger brings the heat while lime keeps it cool. Find out more about Remedy Switchel here or order Remedy Switchel Finger Lime online with free shipping here.